It is a part of the Bombay Natural History Society. It was established in the year 1883. It preserves various natural resources. It is located at Hornbill House at Shaheed Bhagat Singh Road in Mumbai. Various ornithologist and naturalists from all over the county makes visit to this museum. Visit the various galleries and section of the museum. Bombay Natural History Museum, Mumbai is one of the most beautiful and enriching museum in India. Established in the year 1883, this museum is a part of the Bombay Natural History Society. This society has member from 30 countries and it is set up for the use of exchanging notes and comments on natural history. At the museum, you can also find interesting specimens on display. The Bombay Natural History Society is one of the largest non-governmental organizations that is occupied in the work of preservation of nature and natural resources, education and research in natural history. The conservation of the scientific data are the major concerns of the Bombay Natural History Museum, Mumbai. It is to be noted that the conservation is done in a pure scientific way. You can site Bombay Natural History Museum at Hornbill House at Shaheed Bhagat Singh Road in Mumbai. Since its establishment, Bombay Natural History Museum, Mumbai has been conserving the natural historical source. It displays appealing compilation of example from natural world. Various scientific research works are carried out from this Bombay Natural History Museum. Various ornithologist and naturalists from all over the county makes visit to this museum. This museum is the guiding principle of the society and offers numerous information. It also fosters Indian wildlife and conservation studies. This Bombay Natural History Museum, Mumbai publishes a four-monthly journal, which is known as The Journal of the Bombay Natural History Society and a quarterly magazine named Hornbill. The museum exhibits numerous rare specimens of insects, beetles, vertebrates, butterflies and embalmed reptiles. You can very easily get to this museum. 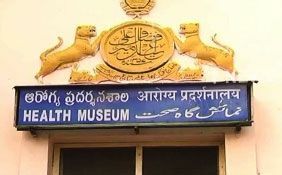 You can take a bus or hire an auto or taxi from any pat of the city and reach this museum. You can also avail trains to reach this wonderful museum. Make sure to visit Bombay Natural History Museum, Mumbai between 10.00 am to 1.30 pm and 2.00 pm to 5.00 pm.